Lords Mobile: New Comic: Carol’s Plight! Avast ye, all Lords and Ladies! The fair maiden of the seas, Coral, has landed herself in deep waters! 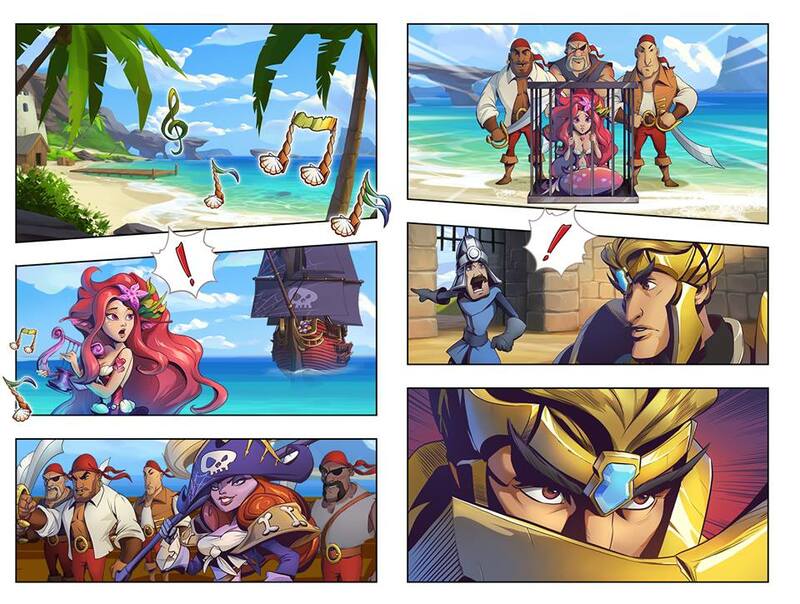 Sinister pirates have captured our beloved mermaid, and stolen her harp as well! Will Coral be saved? Or will Anaya Bonn’s nefarious plans come to fruition? A special Easter egg is hidden in this comic! It’s inspired by a famous movie, and that movie’s soundtrack was written by the very same composer we hired to compose our new theme music! Can you guess what movie it is? What is the right answer? And who could this famed composer be? Stay tuned… for the mystery will soon be revealed! Previous Previous post: Lords Mobile: Ways to Earn Gems Without Paying!